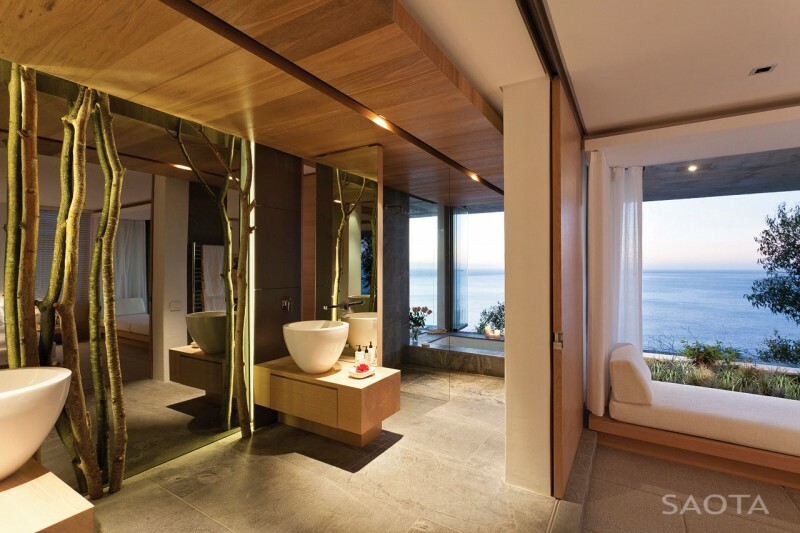 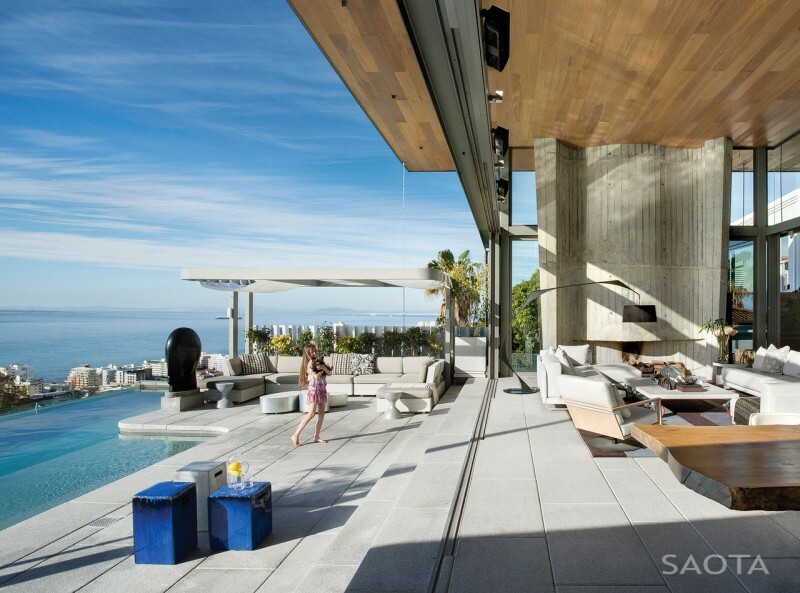 Located in the heart of Bantry Bay in Cape Town, South Africa and overlooking the magnificent Atlantic Ocean, De Wet 34 designed by SAOTA and OKHA Interiors is indeed a luxurious masterpiece. 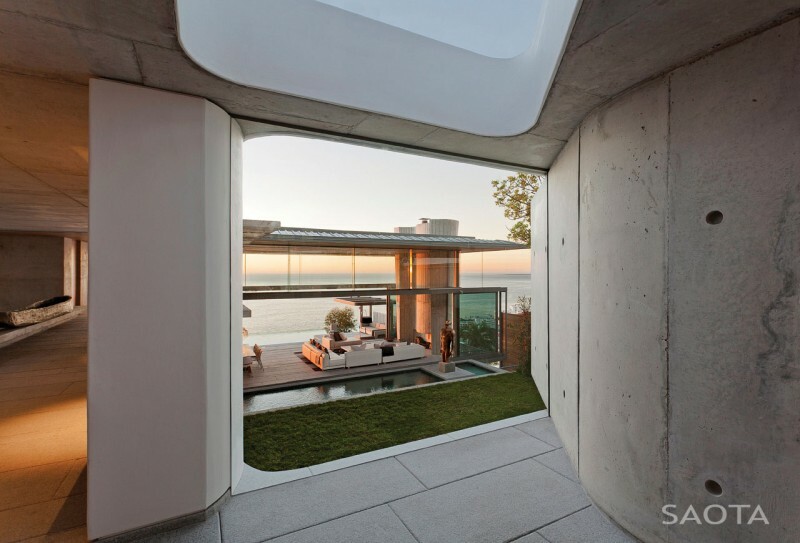 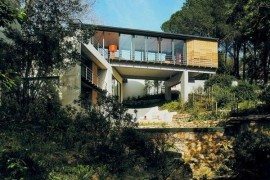 This contemporary residence etched on the slopes of Lion’s Head and offering unabated views of the Bay Area is as much about the views it offers as it is about the glittering interiors. 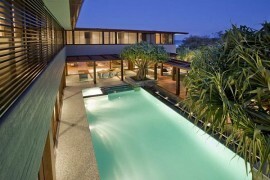 Crafted to accommodate a family with varying needs, the four floors of the home are laced with contemporary opulence. 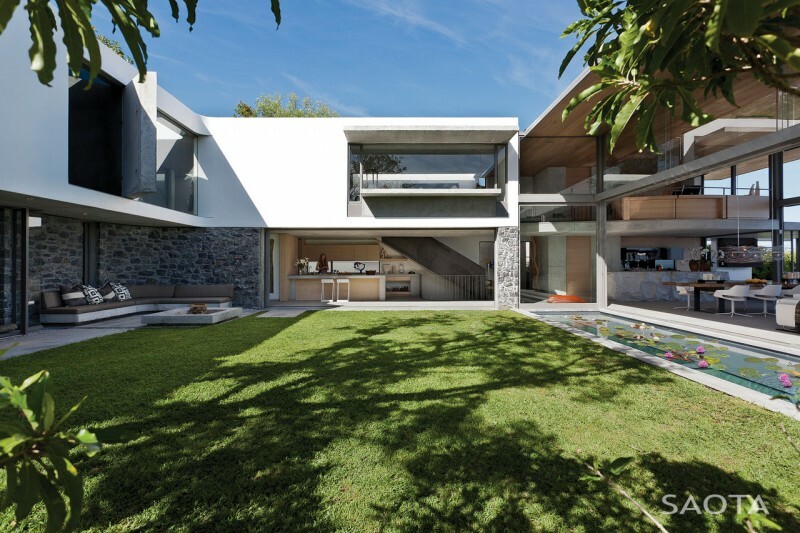 A redwood street façade and a lush green courtyard precede the home’s extravagant entrance. 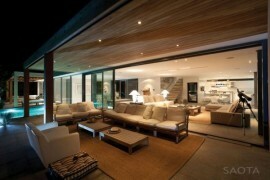 Step inside and you will immediately notice a balanced use of wood, stone, concrete and glass throughout the home. 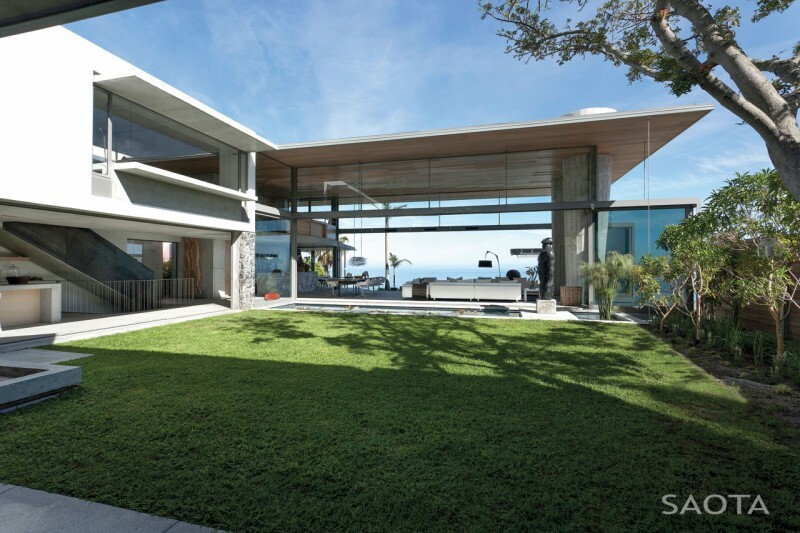 Despite its richness, the home stays true to the lush green surroundings all around it. 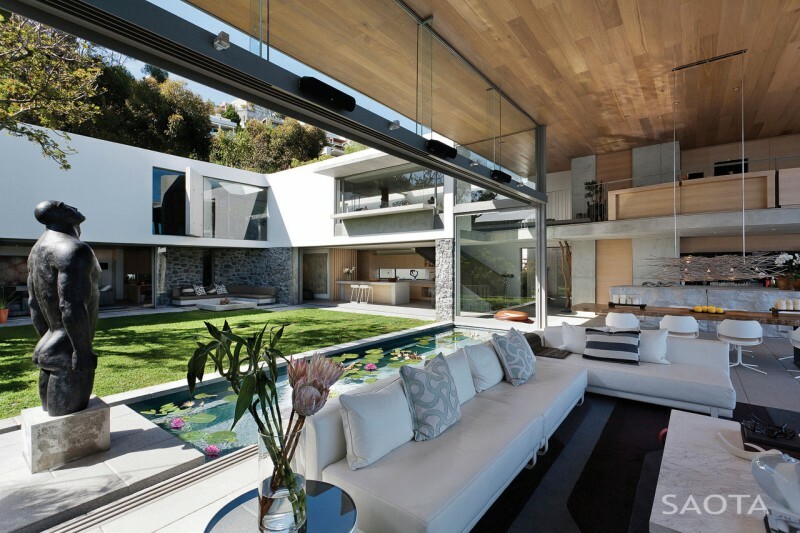 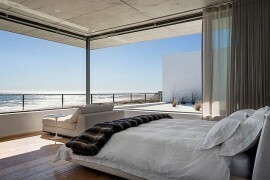 One can easily sense the open-living plan that blurs the lines between the chic interiors and the fresh outdoors. 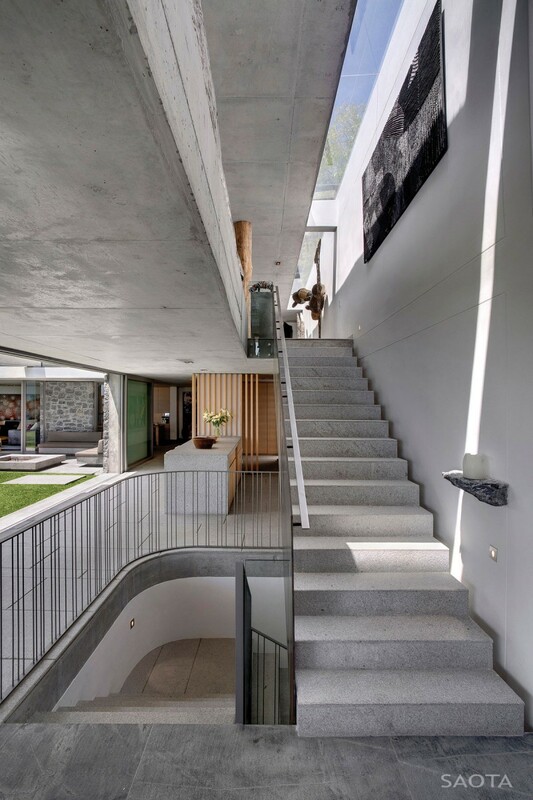 While the lower levels sport the private quarters and the playrooms along with guest rooms, the top level sports a lavish family room along with spacious living and dining areas. 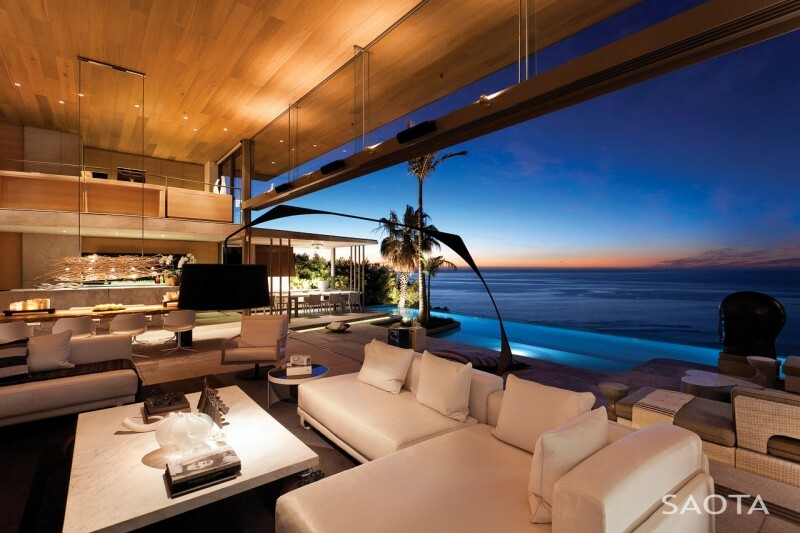 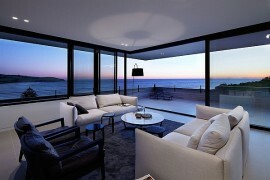 The extensive use of glass makes sure that the owners of the home always have a glorious view of the waves in the distance. 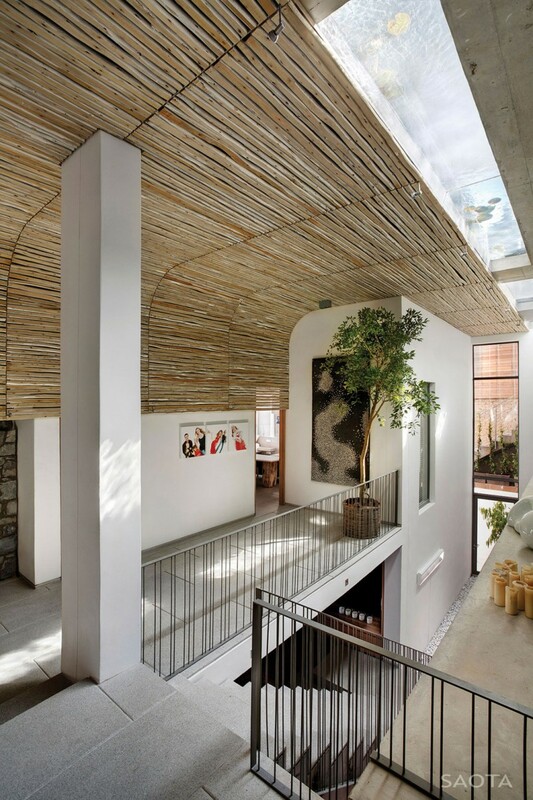 Muted tones and earthen hues are combined with clean and well defined lines to create trendy yet warm and inviting atmosphere indoors.